Celebrate the beginning of summer with books and activities that will get kids excited to spend vacation time at the library! 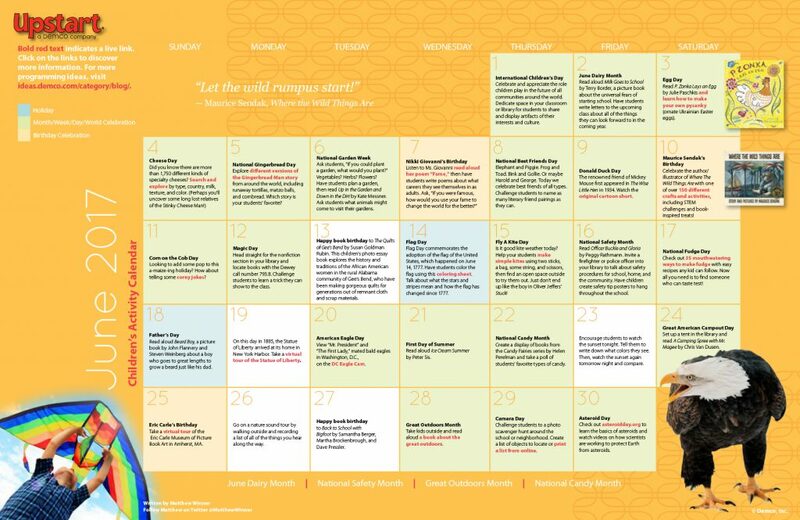 Not only is June Great Outdoors Month and National Candy Month, it’s also filled with fun holidays like Best Friends Day, Fly a Kite Day, and even Gingerbread Day. So grab a friend and a good book, and let the summer fun begin! Super way to keep kids engaged in reading over the summer months! We’re glad you like them, Gail! Matthew does an amazing job pulling these activities together. 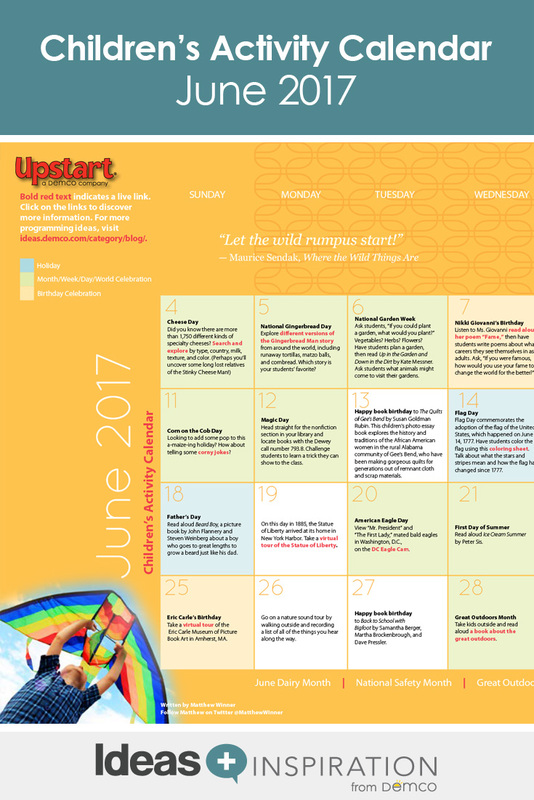 Keep watching each month for more ideas and don’t miss our Early Literacy, Teen and Adult calendars for you and your colleagues as well. One of our best months yet! The books kept flying off the monthly display shelf!! So happy to hear that, Yvonne. Glad you’re putting the activity calendar to good use!